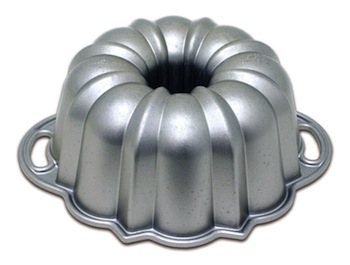 Smaller version of the same great bundt pan. Heavy aluminum bakes evenly. Nonstick coating for easy food release and cleanup. Hand wash with mild detergent. Made in the USA. 8" diameter. 8.125" x 8.125" x 3"